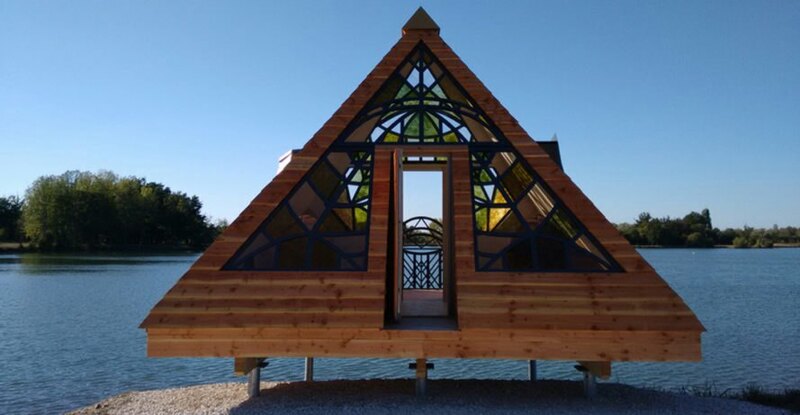 This pyramid-shaped cabin in France features beautiful stained glass windows and lookout towers that offer unique views of the surrounding landscape. 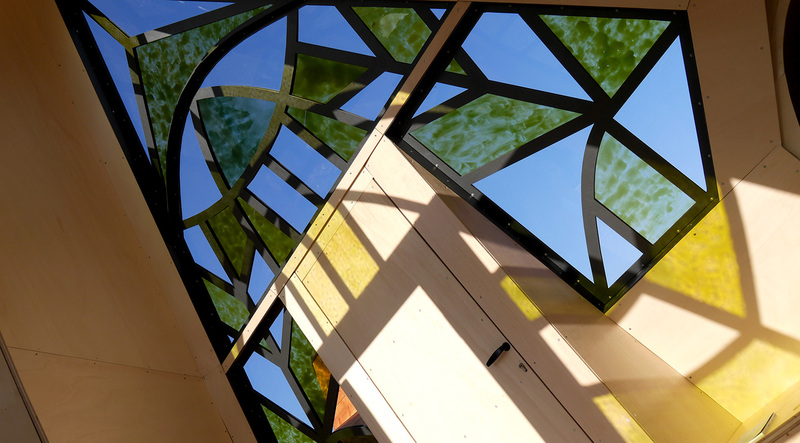 Visual artist Lou Andréa Lassalle designed the Prism Cabin to allow occupants to rediscover the world around them through the colors cast from its faceted windows. 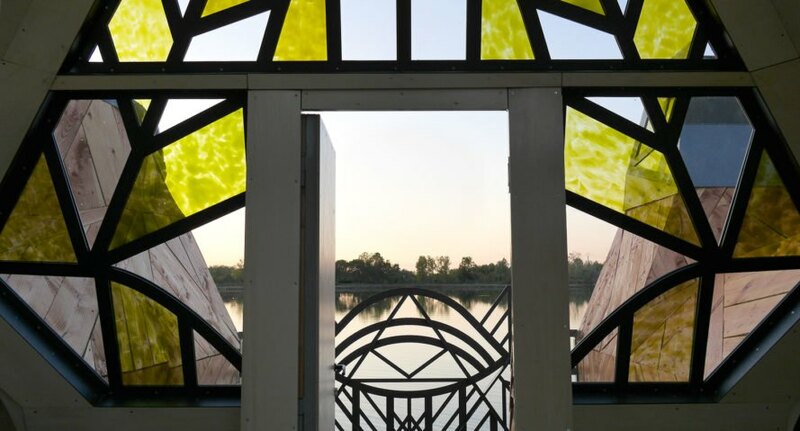 The cabin comprises part of the Refuges Périurbains project, which offers overnight stays in temporary installations built all around the periphery of Bordeaux. 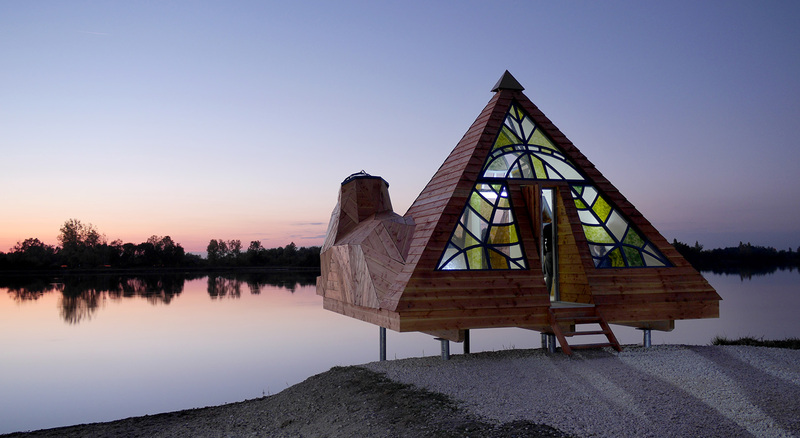 Full of playful design features, the cabin includes lookout towers built in the shape of the Great Sphinx. 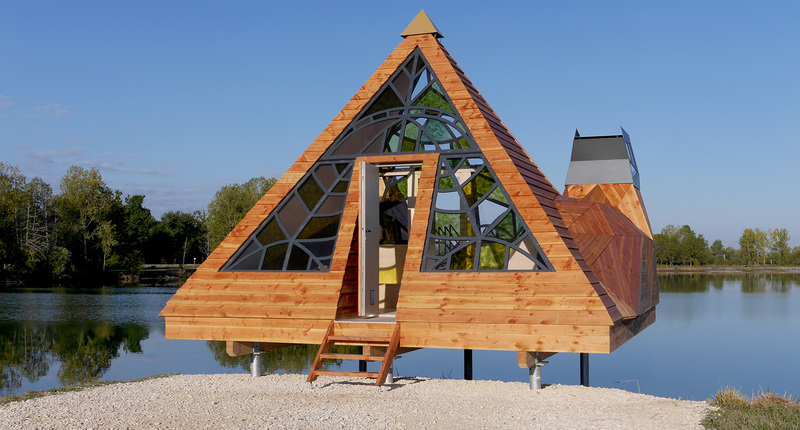 It can host up to eight people at once and encourages people to reconnect with Bordeaux’s gorgeous landscapes. 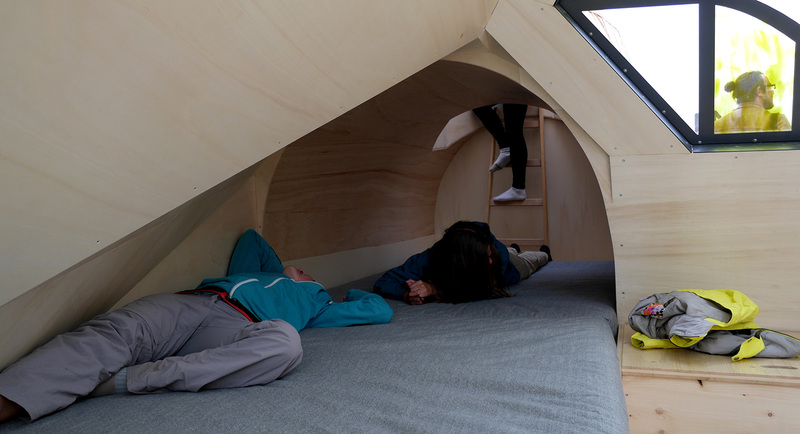 The cabin is part of the Refuges Périurbains project which offers overnight stays in temporary installations built all around the periphery of Bordeaux. 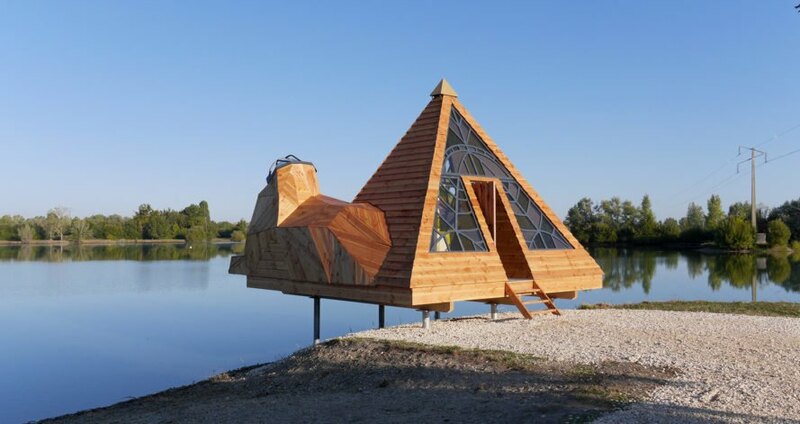 Built by Zebra3, the pyramid-shaped structure is a place where the introspective world and the one surrounding the cabin meet, revealing unsuspected aspects of the landscape through color and shape. It " evokes the esotericism of the water bank where local fish, monsters from the depths, high voltage towers and natural fog mix." The structure includes lookout towers in the shape of the Great Sphinx, as if concentrating all the positive energies of La Blanche lake. 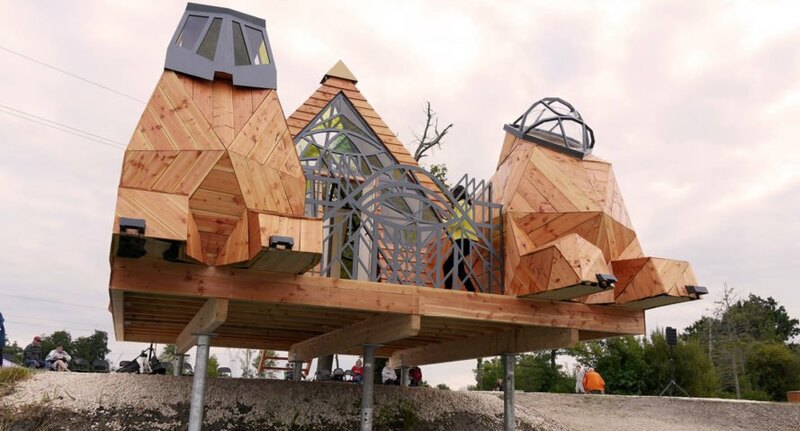 It can host up to eight people at once and helps encourage people to reconnect with Bordeaux's gorgeous landscapes.